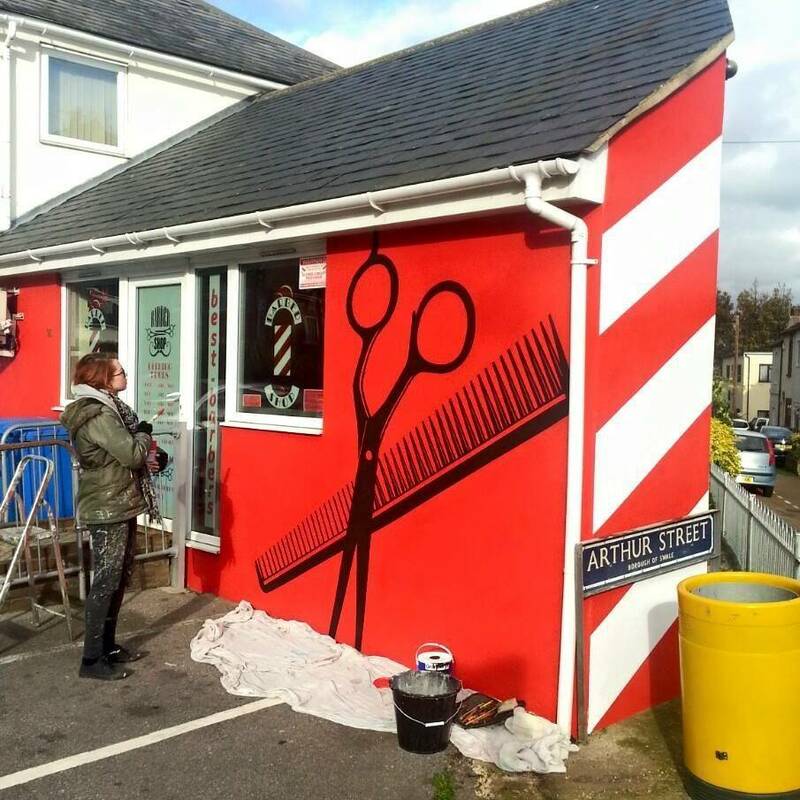 This Barber Shop in Sittingbourne was already painted a nice bright red, so we were able to paint our design straight over the top. The client wanted a silhouette of crossing hairdressing scissors and a comb, so that even from a distance you can tell what business it is. We also painted white stripes down a small section of the side wall to resemble a barber pole. This took us two days to complete.